Last year at this time I was preparing for a trip to London. 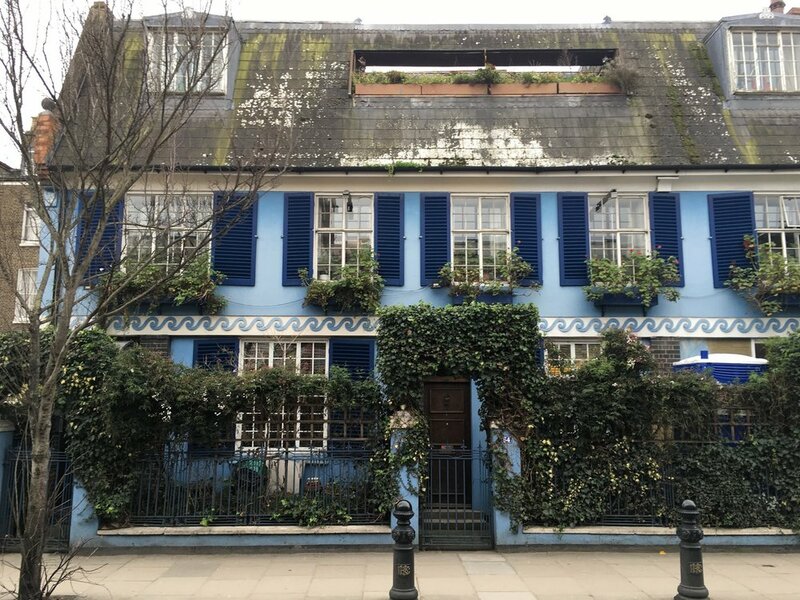 A bit of nostalgia and some friends looking for a newfangled London adventure prompted me to compile a list of some of my favorite haunts across the city. In the very best sense of the word, London is a cosmopolitan city—diverse and modern, vibrant and eclectic, and perpetually hip yet carefully shrouded in ritual and ceremony. With the back of the great lion Churchill looming against monuments of centuries past and future, and the ghost of Virginia around each neighborhood corner, London’s great mystery is not one of secrecy, but of bounty. In a city charted by such grave and great history, where will you go? Portobello Market: Excellent for a stroll through the colorful and perennially charming neighborhood of Notting Hill and exploring antiques, collectables, vintage clothing, and accessories (I’m still thinking about a few things that wouldn’t fit in my suitcase). There are also food and household vendors in the middle of the market. Saturday is both the busiest and most complete vendor showcase, with Friday as the next-best and slightly less crowded day. 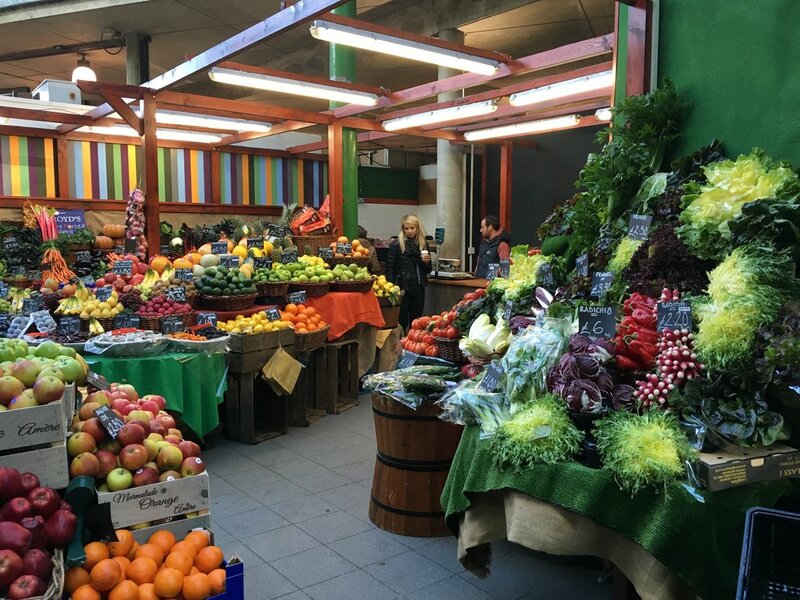 Borough Market: All the things you could ever want to eat or taste or drink gathered under one charming outdoor marketplace. Great for a walk-through and snack, or you can easily get a meal and sit down and enjoy the scene. There are wonderful meats and produce if you plan to do any cooking while you’re in town, or great for picking up a few gifts for the foodies in your life. In fact, the whole area around Borough is great for eating and drinking. Check out Monmouth Coffee—worth the queue, as they say— or nearby Rabot 1745 for everything cocoa inspired. Any cheese monger should not miss the opportunity to smell, taste, and take-home from Neal’s Yard Dairy. Berners Tavern: Inside The London Edition, Berners Tavern is an elegant and posh dining space with covetable gallery walls and an impressive bar that’s great for cocktails and modern British fare. A reservation may be required, but note that Berners also serves tea, post-show supper, and Sunday brunch. Honey & Co: Any trip to London, for a bibliophile like me, is not complete without a pilgrimage to Virginia Woolf’s former residence on Fitzroy Square. The pilgrimage leaves you in the Fitzrovia neighborhood, just near the tiny and warm Honey & Co, where Middle Eastern Food and window-displayed baked goods are served in an intimate setting that makes you feel like you’ve uncovered an uncharted neighborhood gem—though be warned that reservations may be required. Dishoom (Shoreditch location): An evocative Bombay-inspired café with cozy booths, mosaic-tiled floors, and a wonderfully curated menu that provides little asides about history, infamous Indian dishes and cocktails. Don’t miss the Chicken Tikka or Lamb Raan; the Gunpowder Potatoes are no joke either. Pizza East: I read that Pizza East was housed in a former tea warehouse, so it had to be seen. Fashioned in an open, industrial space with dramatic lighting and a central bar, Pizza East serves wood-fired pizzas and antipasti and also has a drop-in Deli where you can get coffee and biscotti, or take home house cured meats and cheese. It offers a casual, lively atmosphere in the heart of hipster-haven Shoreditch. Clove Club: I haven’t even been here, but I desperately want to know someone who has. Offering a no-choice tasting menu that requires some major spending and a proclivity for totally wild food combinations, this has to be one of the hottest seats in London. Rumor has it that if you can snag a seat at the bar you can enjoy bar snacks there—a lighter alternative for your wallet, where you can also succumb to the lauded buttermilk-fried chicken with pine salt; that is, if you make it through the door. 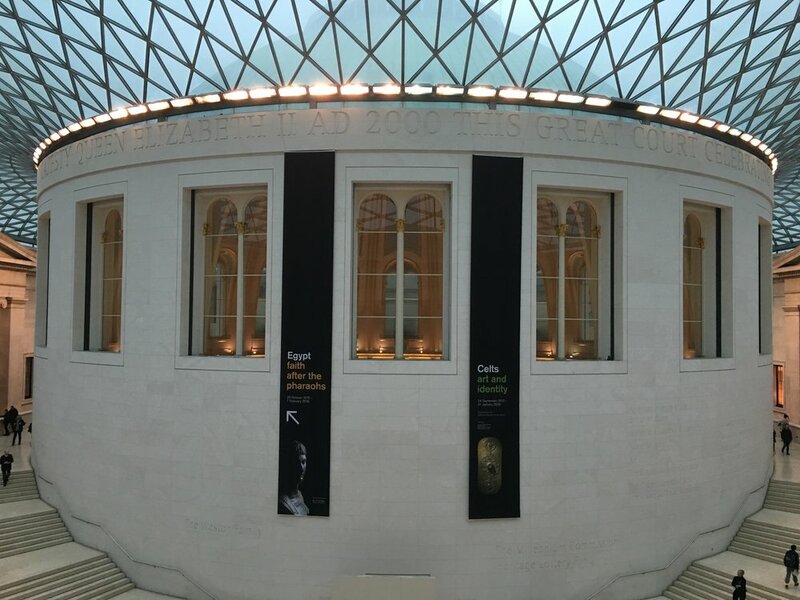 The British Museum: Absolutely worth the mind-melt you’ll get form strolling through Mesopotamia, Egyptian death and afterlife, ancient Greece and the Roman Empire, and countless other worlds. Free and beautiful to behold, The British Museum is definitely something for anyone with even a remote interest in the way that humans have interacted with everyday and phenomenal occurrences—birth and death, war and peace, and even love and language—from the beginning of recorded time. The Victoria & Albert Museum: A visual feast of one of the best decorative arts collections in the world—the fashion and jewelry collections alone offer an afternoon well spent. The Tower of London: Worth at least one visit in a lifetime. Pray you get the same tour guide that I did and tip him heartily for his hilarious and poorly timed jokes. Spend extra time among the Crown Jewels and at the White Tower. Afternoon Tea at Fortnum & Mason: With a selection of teas that requires a tea guide and a menu longer than War & Peace, the Fortnum & Mason brand has been selling teas since 1707. Afternoon tea takes place in the elegant and feminine Diamond Jubilee Room, where you’ll be served tea sandwiches, scones with clotted cream and house made preserves, along with tons of royally sweet treats from the dessert trolley. Downstairs, there’s a marketplace that has a beautifully curated floral shop, grocery, and excellent gift selection—don’t miss the spices or chance to weight and carry-out fresh loose-leaf teas. West End Show: It’s a must. Hit a classic or catch one of the latest crazes—either way, you can you join the rest of the American Midwesterners (do Londoners even go?) in awkwardly signing the final reprise of Mama Mia or Jersey boys, a song that will be stuck in your head for at least three days. Me? I always prefer the drama of Phantom. 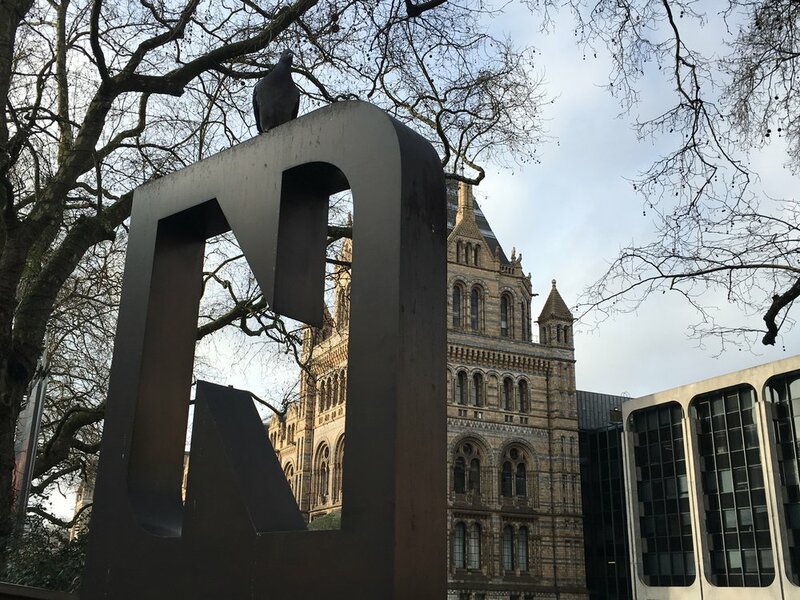 Other notables include: The Imperial War Museum (the Holocaust exhibit is excellent and utterly devastating), The Natural History Museum, The British Library, and a tour of Westminster Abbey. Housed within the Somerset House, the intimate Courtald Institute of Art boats one of Art History’s most famous teaching pieces—Manet’s A Bar at the Folies-Bergere, along with many other notable Impressionist and Post-Impressionist paintings. With views of Trafalgar Square, The Portrait Gallery is home to the world’s largest collection of faces—from Shakespeare and the Royals to icons of modern times. Whether you’re a classicist and prefer the Tate Britain—the largest collection of British art in the world—or a modernist and prefer the Tate Modern, these iconic spaces and collections are worth a gander. Tate Modern sits right on the bank of the Thames and has views that extend across the city.